Gambling can be a very controversial subject, particularly depending upon where the subject comes up. In the United Kingdom where gambling is legal, an entire industry thrives. In some places there are convenient storefronts that allow bettors to place bets in person. This open market environment allows for the bettor to be protected against fraud, where they can openly work with law enforcement if they are defrauded or cheated by the bookmaker/casino. However, in places like India and the US, the laws vary from State to State. Laws regarding online betting in India aren’t very clear either. This pushes gambling ‘underground’ which attracts bad actors and leaves little to no protection for the bettor against fraud. The differences of opinion as to the legalization of gambling vary, there are some who have the opinion that gambling is ‘bad’ or ‘sinful’ and therefore should be prohibited by law. However, what should be recognized is that gambling is simply another form of entertainment. It can be abused by some, like anything else, to the point where it becomes a vice, but threatening people and putting them in jail or otherwise usually doesn’t solve the problem of vices; instead it tends to make them worse. What are the Effects of Making Gambling Illegal? Most people recognize the purpose of good laws, which protect people from others. The general consensus is that murder, theft, fraud, assault, et al. are bad behaviors as these acts are harmful from one individual to another. There is no circumstance where these acts are beneficial to society or individuals. Notice that one may defend themselves from harm using physical force, but that is very different from murder and assault, which are acts of aggression, not defense. However, some think the law should apply to actions that do not involve the protection of individuals from others, but instead, to protect people from themselves by using government to threaten them with fines and imprisonment for engaging in activity that is seen as ‘bad’, but is otherwise peaceful. Typically the arguments against gambling are made in appeal to the safety of individuals, as if they cannot make sound decisions on their own and need government to tell them how to act responsibly. But of course, this punishes everyone, even those who are perfectly capable of acting responsibly. They also include arguments that gambling attracts crime. However, as it turns out, the prohibition on gambling often attracts more crime. Which makes sense as each new prohibition necessarily is creating new criminals. Often, prohibition results in consequences which make matters much worse, where it tends to increase the problems that the prohibition intended to solve. When something such as gambling is made illegal, it does not prevent the activity, it simply drives it ‘underground’. It expands and subsidizes the criminal element that the prohibition was created to address in the first place. It attracts criminal organizations into the market, where instead of placing bets with reputable and regulated establishments, individuals deal in a black market with no protection of the law. It allows criminal organizations to profit from an activity that otherwise would not be as profitable for them. This increase in profits subsidizes their truly harmful activities and creates economic incentives for more people to go to work for these criminal organizations. Another major problem with underground gambling markets is that it becomes much more difficult to crack down on game fixing, where the criminals operating the underground markets don’t have a tendency to follow laws in the first place, this is made worse when they control the millions of pounds that are wagered on landmark matches. Where gambling markets are legal and regulated, the legal bookmakers’ biggest asset is their reputation. If they were ever caught in a game rigging scandal, not only would they be held legally responsible which would ruin their business, but it would ruin their reputation among bettors which would certainly ruin them as well. When a majority of bets are placed in open markets, these bets can be easily traced and tracked in case there is ever a need of investigation. It is impossible to get an underground bookie to open their books, that is if you can find them in the first place. The future of betting is online. Actually, the future is here. The popularity of online gambling is steadily increasing as individuals are becoming more comfortable with online transactions and security technology continues to make advances to make for safer online transactions. It is estimated that 2011 global online gambling revenues exceeded $30 Billion. Considering that global online betting revenues were about $18 Billion in 2007, which is nearly double the revenue in 4 years, it is easy to realize that the demand for this form of online entertainment is steadily on the rise. Many municipalities are seeing the opportunity that is presented in legalizing and taxing this growing industry. 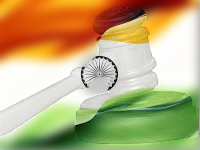 In India, it is seen that governments largely turn a blind eye to online betting, but that is still enough to make people uncomfortable without an affirmative stance. However, there are plenty of Indians who continue to bet at various offshore betting sites. Prior to the passage of the Unlawful Internet Gambling Enforcement Act (UIGEA) in 2006, the US was served by the biggest names in the industry at the time that operated largely out of the United Kingdom. Nearly all of them were reputable, licensed, and publicly traded companies. The player experience was positive and the safety of bettors was relatively stable. However, the problems of payment issues and other problems rapidly increased after the passage of the UIGEA, which pushed the more reputable companies out of the US market. Some companies took advantage of void that was left in the market. Some of the companies looked to build long term brands and were largely dependable, however, as in any ‘underground’ market, it also attracted rouge sites that cheated players out of deposits and were even involved in betting scandals. It was better when the US Government simply stayed out of it. 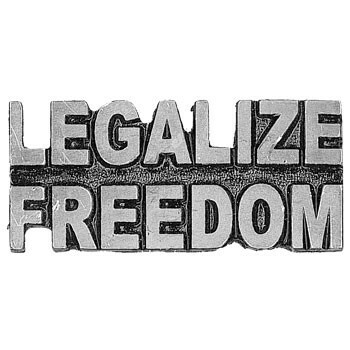 If given the choice between ‘freedom’ and ‘prohibition’, the benefits are clear when it comes to consumer safety. Open markets are safer than black markets. This is most certainly the same case with India. As many government budgets continue to suffer as a result of the struggling global economy, officials are seeing the legalization and taxation of the gambling industry as an appealing option. The best case scenario is that governments simply make the laws clear, legalizing gambling, and simply protect the consumer by the court system to address fraud and theft, otherwise staying out of it. However, the more likely scenario is that governments license, regulate, and tax the activity (more government involvement). This is still preferred to outright prohibition, which causes far more problems than it can attempt to solve. Where governments abandon laws against gambling, and instead create a safe environment for legitimate betting operations where they can benefit from the tax revenues, it will help to alleviate some budget problems they are currently facing, but most importantly, ending gambling prohibitions will allow for an open market which is better for everyone as a whole.